It’s never too early to start preparing for the Christmas season. Why not brighten up your neighborhood or business early, with some festive lights! 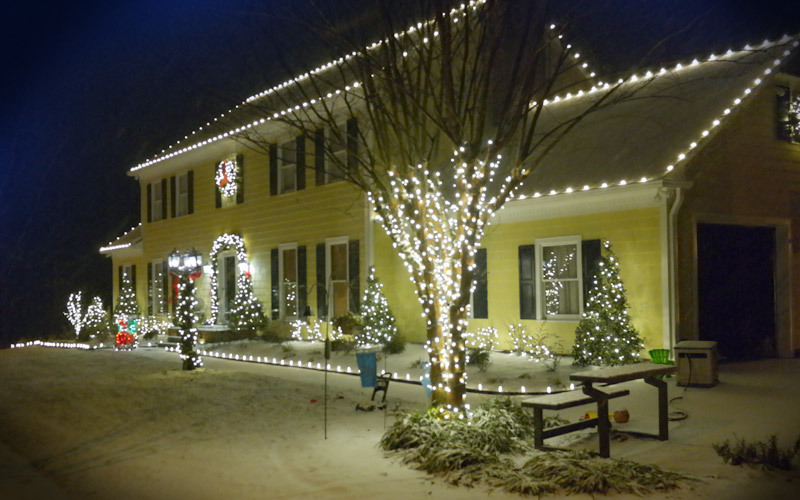 Many of you may find it difficult to install these lights on your own, so hire a professional Christmas light installation company to make your house sparkle, without having to lift a finger. Use only LED lights, to ensure you get the maximum quality possible, while still saving power. Have early installation and late takedown options October through February. Will maintain lights during the entire installation period. Workers have fully insured Worker’s Compensation insurance if any accidents occur. The company will listen to your ideas and offer some ideas if you need them. Have years of experience to prove their liability. Serves both residential and commercial customers. LED lights do not emit any dangerous UV rays. Operational in very cold and hot temperatures. Can be turned off and on many times. Low voltage- UV lights can run on a very low power supply. Many of us get into the holiday spirits much more soon than others. So put up those lights as you as you can! Make sure the Christmas light installation company you choose has options for setup as early as September and take downs till February. Why? You get a better bang for your buck the longer you have them up. Attracts more attention for a business. You can beat all the neighbors and have your lights up in advance. And why would you not? 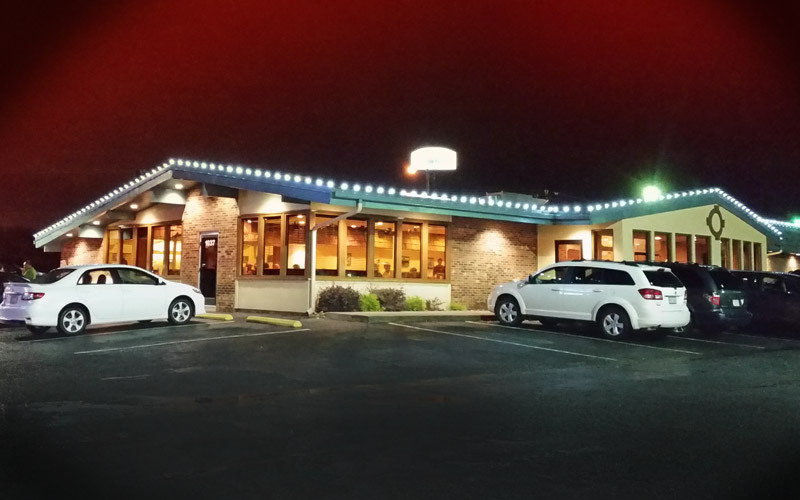 Just go ahead and put those lights up. Lights can be very fragile and delicate, especially if they are outside. This is why light maintenance is very important to make sure the business offers this service. Because if there was to be any bad weather the lights are at risk. You risk getting injured trying to repair them yourself. Will cost more if you end up having to repair these lights. It’s a big hassle and will take more time if you repair them on your own. To prevent any extra charges and stress, be sure that the worker’s you are hiring have Worker’s Compensation insurance. This way you can be. Not a risk of being liable if there were to be any accidents. Everyone has their own vision in their head of what they want their Christmas lights to look like. Some companies may not focus on exactly what the customer wants. This is why you need to find a business that’s all about the customer and what they want. They will do their best to create the “vision” in your head of your Christmas lights and home. The business may be open to giving you ideas. If you and the business you employ work together you can create an amazing Christmas light plan together! Reviews and recommendations from previous customers. 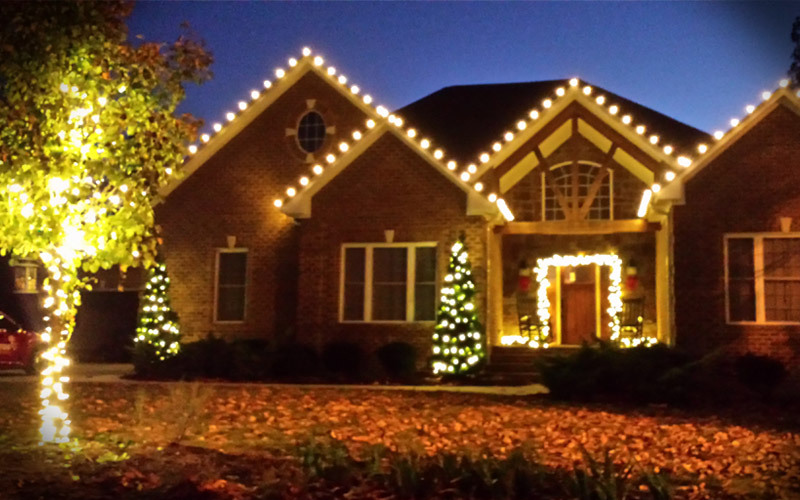 A good Christmas light installer in Greensboro always can meet the demands of their customers for both residential homes and commercial buildings, commercial Christmas light installation is a great way to bring more customers to your building, restaurant, office or any type of commercial property.